Please read the disclaimer carefully and in its entirety. The Maples Community Centre World Wide Web Site provides general information that may be of interest to readers. Please direct all personal questions to the appropriate program director or association contact. The Maples Community Centre, the Maples Recreational Association Inc., its Board of Directors, management, and / or staff shall not be liable for any damages, claims, liabilities, costs or obligations arising from the use or misuse of the material contained in this web site, whether such obligations arise in contract, tort, negligence, equity or statute law. The Maples Community Centre World Wide Web Site has been prepared specifically for Maples Recreational Association Inc., not for any manufacturer or other company, and the authors have not received any remuneration from any manufacturer or other company in connection with its preparation. The Maples Community Centre World Wide Web Site shall not be reproduced without the consent of the authors. This Website is protected under the copyright laws of Canada and other countries. All information contained within the Maples Community Centre Web Site has been developed by the Maples Recreational Association Inc., is the property of the Maples Community Centre and may not be reproduced, redistributed or modified for commercial purposes without the express written permission of the Maples Recreational Association Inc.. 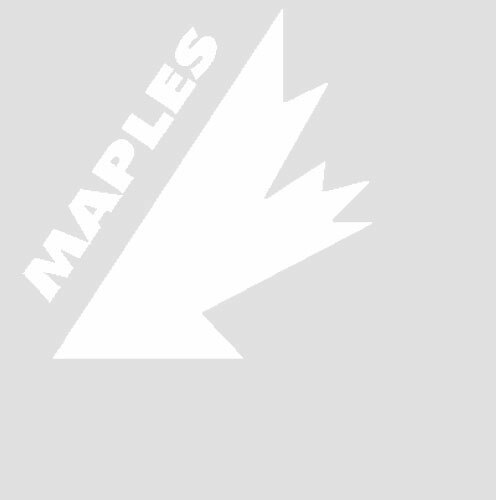 The Maples Recreational Association Inc. owns the intellectual property rights in the underlying HTML, text and other content that the Hospital makes available to you on its web site, or has obtained the permission of the owner of the intellectual property of such content to use the content on the Community Centre's web site. include with and display on each copy of such content the associated copyright notice and this limited license. make any commercial use of such content. include such content in or with any product that you create or distribute copy such content onto your or any other person's World Wide Web site. The Maples Recreational Association Inc. and Maples Monarchs logo is a registered trademark of the Maples Recreational Association Inc.. All product names mentioned on this web site are the registered trademarks of their respective owners. The Maples Recreational Association Inc. does not warrant the quality, accuracy nor completeness of any information or services made available on this web site. Such information and services are provided "as is" without warranty or condition of any kind. The Maples Recreational Association Inc. Web Site may include inaccuracies or typographical errors. The Maples Recreational Association Inc. does not exert responsibility, editorial or other control over the contents of the links to other Internet sites or any postings by a third party. The Association disclaims any and all liability for any claims or damages, which may result from any postings by third parties. The Association disclaims any and all liability for injury and / or other damages, which result from an individual using techniques discussed on this or the linked web sites. References in this Website to third parties' goods or service are not endorsements or approval of such goods or services. Links to other Websites are not endorsements or approvals of such sites, the third parties named therein, or their products and service, nor is any liability assumed for incompatibility, non-suitability, viral infection, worms, Trojan horses, or other destructive / disruptive components on or from such sites. The display of trademarks, trade-names, or service marks on this Website does not convey or create any license or privilege of any kind. Unauthorized use or exploitation of such marks and names is strictly prohibited. For more information regarding the Maples Community Centre World Wide Web Site, please send requests to the Website Administrator.